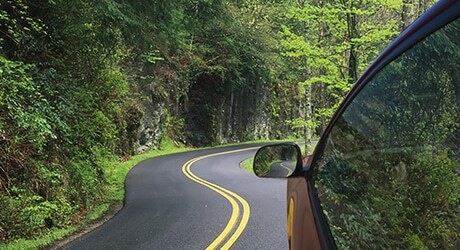 Sometimes the best way to experience all that the Smoky Mountains have to offer is on a driving tour. With so many routes to take, you can lose yourself in the scenic beauty, unique foliage and animal sightings. As you enjoy the view, don’t forget to take advantage of many of the scenic pullouts throughout the park. You will be able to take in endless views of ridges and valleys, as well as mountain streams and waterfalls. Don’t forget your cameras! 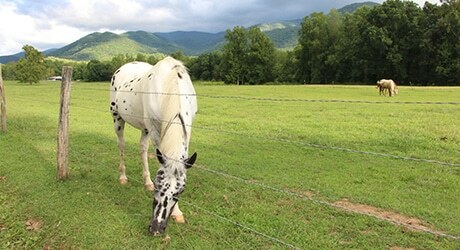 With so many wildlife in the park, you never know when you will come across an elk, deer or even a wild hog. You can also take advantage of our 800 miles of trails for hiking, exploration and plenty of sightseeing. Weather conditions in the mountains tend to be moderate making it a favorite vacation spot for couples and families alike. However, weather can be unpredictable and we recommend you plan accordingly by checking out our weather page before you set out on your scenic drive.